Crosswinds S.T.O.L. 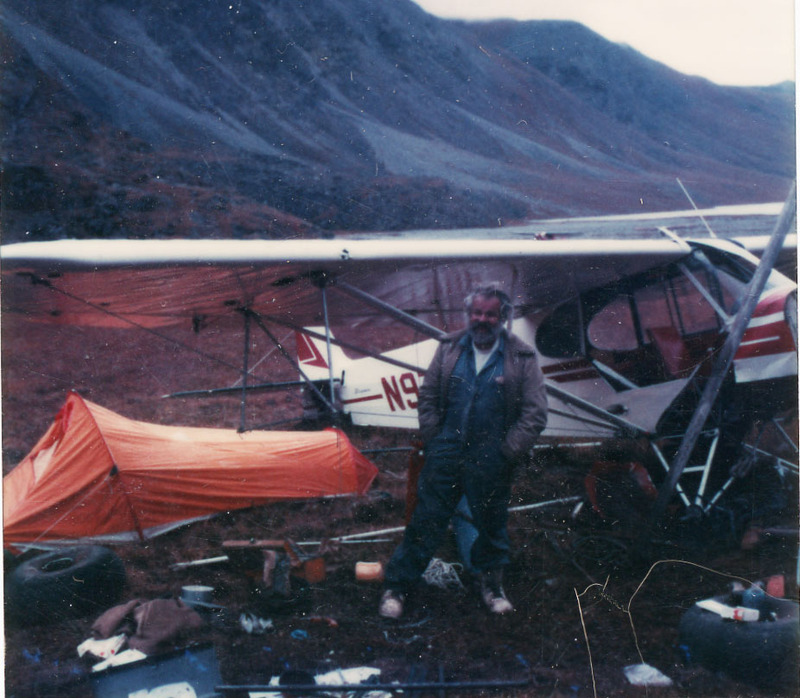 Inc. is an Alaskan company founded in 1959 when Cal Center started Crosswinds Outfitters Flying Service at Tolsona Lake near Glennallen, Alaska. Over the years Cal Center, with his talented young Son Charly by his side, designed and tested many modifications that are used in many diffrent aircraft types today. Charly Center has continued the business where his father left off. Charly Center moved the business to Wasilla, Alaska in the 1970's to be close to his mother. Charly renamed the business after Crosswinds Lake in Glennallen where he was raised. S.T.O.L. comes from the part of aviation Cal Center had contributed the most to, improving flight characteristics of light aircraft. Crosswinds S.T.O.L. 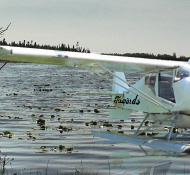 Inc. is the culmination of two generations and over 50 years of meticulous craftsmanship and innovation and years of experience testing light aircraft in Alaska's rugged Bush environment. Crosswinds S.T.O.L. 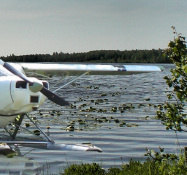 Inc. began flying their guide service near Glennallen, Alaska. Like many early pioneers of short, rugged landing sites at elevation Cal Center was forced to begin repairing and modifying broken airplanes. Cal incorporated his experience with what other pilots were asking for, better performance, reliability, durability and utility. The local pilots liked the modifications and began using them on their own aircraft. Hands on experience showed what was working and what was failing and what needed improvement. Cal Center received a Governors commendation for his role in Alaska Aviation. 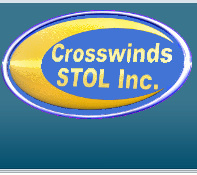 Through real world research and development science and engineering, Crosswinds S.T.O.L. Inc. leads the industry in light aircraft modification. Wasilla resident Clinton Calvin Cal Center, 74, died Jan. 22, 2000, at Valley Hospital in Palmer, following a lengthy illness. An informal gathering of friends will begin at 2 p.m. Saturday, Jan. 29, at the Palmer Elks Lodge on Bogard Road. Those attending are asked to bring a story to share. 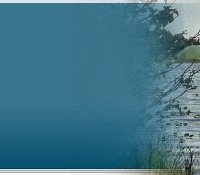 Mr. Centers ashes will be scattered over Crosswinds Lake this summer. Mr. Center was born Oct. 9, 1925, in Deadwood, S.D., the son of Clinton Chester and Mary Jane Center. He attended schools in Puyallup, Wash., and received his GED while in the military. He continued his education by taking many college classes throughout his life. Cal served in the Navy as a radio operator, and in the Army as a medic. He was stationed in Munich, Germany, when he met and married Eva Maiwald in 1954. He came to Alaska in 1958, and retired to the Wasilla area in 1988 after living and working in numerous places in Alaska. He was a railroad worker, salesman, fisherman, fish spotter, generator operator in Cape Lisbourne, guide and outfitter, founder of Crosswinds STOL, bush pilot, and innovator of many aircraft designs. He received a governors commendation for his role in Alaska aviation. His hobbies and special interests were art, being an animal lover, a mechanical tinkerer, and a lightweight boxer in the military. His family said: He wasnt perfect, but he had a heart as big as Alaska. If anyone needed help all they had to do was ask. He loved challenges and had many in his life. He loved to spend time with his grandkids and enjoyed his Sunday morning breakfasts and cribbage games. He was preceded in death by his parents; brothers, Oran, Roy, Bill, and Kenny; and sisters, Jackie and Marylynn. Survivors are his family, Charles Center and Cheryl Weare, Kay and Mary Omer, Rod and Margaret Hanson, and John and Nina Shaw; grandchildren, Shanna, Jud, and Shane Omer, Kristen and Ricky Hanson, Sierra and Lily Shaw; brothers, Bud of California and Clinton Joseph of Anchorage; sister, Darlene Christensen of Washington; and numerous friends throughout Alaska. All Content ©2011 Crosswinds S.T.O.L. Inc.